What is Sai Do Si? Literally it stands for “Western toast”. The English translation is “French toast”. But it’s not French at all. I’ve lived in France for a while and never came across such a weird dish. 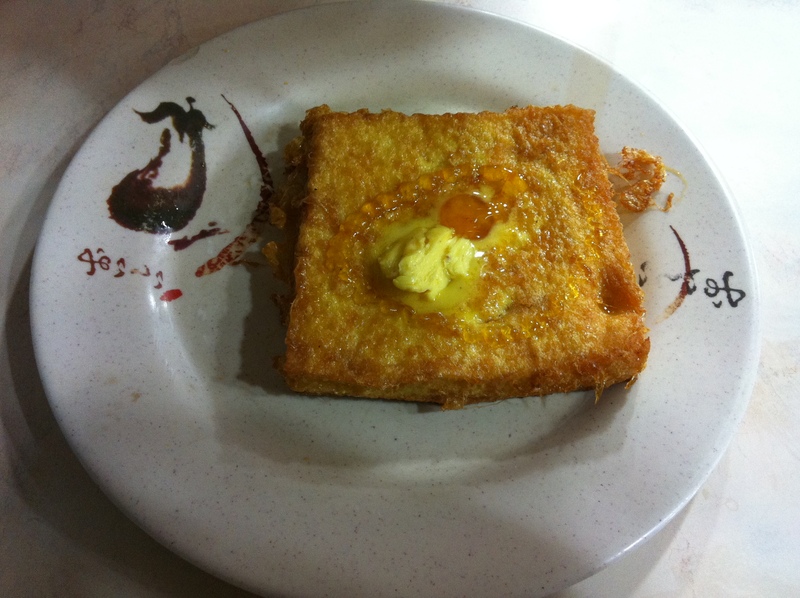 Here is how a French toast Hong Kong style is done. Take two pieces of toast and apply a lot of peanut butter in between. You will then deep-fry this peanut toast sandwich (yes, deep fry). Afterwards put some butter on top followed by a lot of honey or sirup. Done is your sai do si. The whole dish might include more calories than you can burn in one hour running and enough cholesterol to bring you to a heart attack two times over…. BUT…. It really tastes great! No idea why, but it’s a truly unique taste. The Hong Kong experience isn’t over with a Sai Do Si. Go for a set and order an “Yuan Yang”. This drink is a mixture of coffee and Hong Kong style milk tea. Both together form a unique bitter but also milky taste. The caffeine in there is enough to wake you up for the next 12 hours. Have two Yuan Yang if you want to party the night in Lan Kwai Fong or Wanchai.